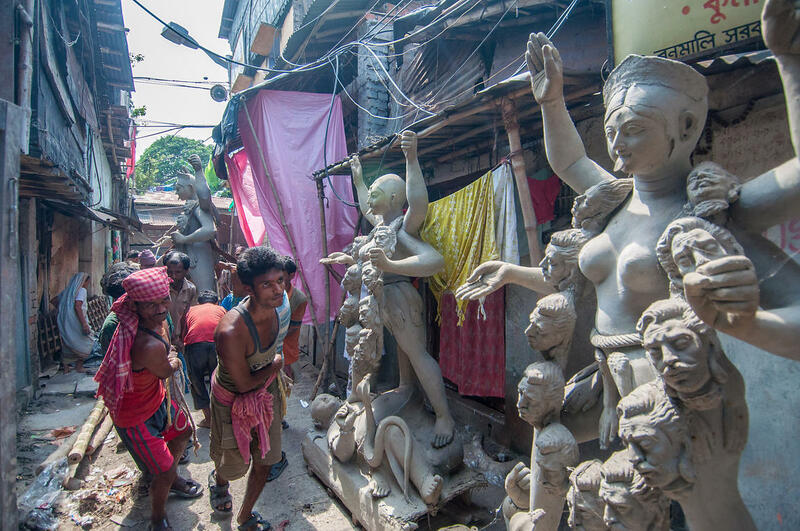 Kolkata, India’s second-biggest city, is a daily festival of human existence, simultaneously noble and squalid, cultured and desperate, decidedly futuristic while splendid in decay. 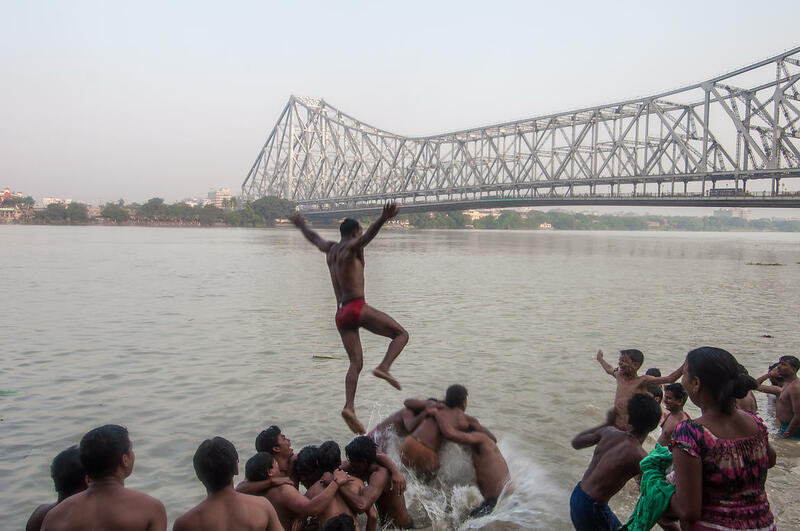 By its old spelling, Calcutta readily conjures images of human suffering to most Westerners – although that's not a complete picture of this 350-year-old metropolis. 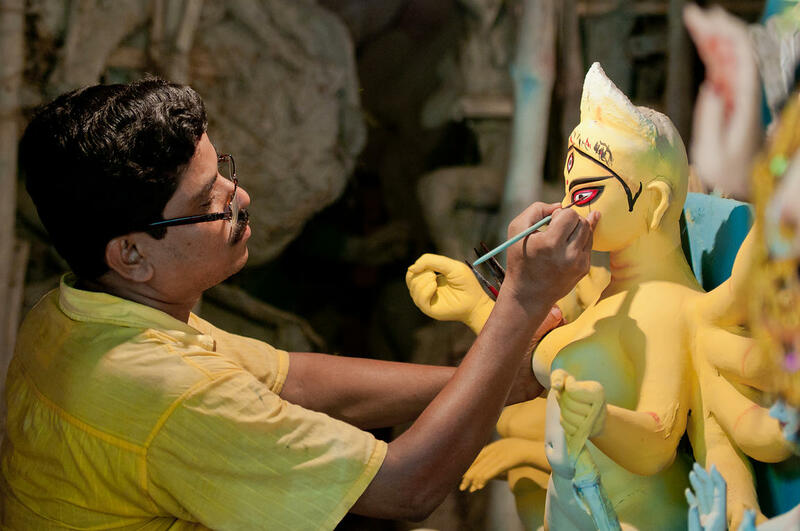 Locally, Kolkata is regarded as India’s intellectual, artistic and cultural capital. 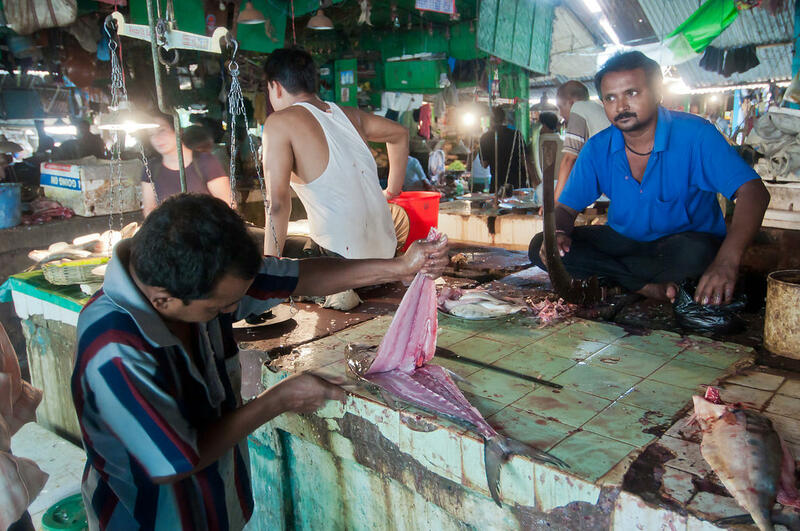 Although poverty is certainly apparent, the self-made middle class drives the city's core machinery, a nascent hipster culture thrives among its millennial residents and its dapper Bengali gentry frequent grand, old colonial-era clubs. Hassle-free and warm-hearted, it's a state that's all too easy to fall in love with, explaining perhaps why permit regulations prevent foreigners staying too long or going too far. Clean, green and 'all organic' since 2016, Sikkim is mostly a maze of plunging, super-steep valleys thick with lush subtropical woodlands and rhododendron groves, rising in the north to the spectacular white-top peaks of the eastern Himalaya. When clouds clear, an ever-thrilling experience from many a ridgetop perch is spotting the world's third-highest mountain, Mount Kanchenjunga (8598m), on the northwestern dawn horizon. Thereafter we will take you to South Park Street Cemetery which is located on Mother Teresa Sarani, Kolkata, India. The road used to be called Park Street, and prior to that Burial Ground Road. (Please note that Photo shoot is officially prohibited but if you can hide your cameras in the backpack, it would be possible). Afternoon 'Shadow of Calcutta' - Portraits + Yellow Taxi + old Tram etc…(usually permission for photography at train stations is not allowed as it is protected area, however, we will do our best to gain the necessary permission. We will try to get insider access to the depot where they store the tram at night. Morning: 'Country Roads' - capture the life in the suburbs (brick kiln workers, farmers, fishermen). Afternoon: 'Mystic Calcutta' (road-side palmist/fortune teller, sadhus at Babughat or Maidan area). In time departure transfer to airport to board the flight for Bagdogra. Meeting assistance on your arrival at Bagdogra airport and travel 4 hours to Gangtok. Acclimatize, briefing by our guide and overnight at hotel. Complete permit formalities and proceed to Dzongu. Overnight at a Lepcha Home Stay (this is the only option available in this remote corner of Sikkim). From a social perspective, Lepchas are the original inhabitants of this area and are now threatened due to the mega hydroelectric power project which came up on Teesta river - both and up and down stream. Planning the shoot and overnight halt. Two full day shoot of the amazing and pristine landscapes as well as the cultural and spiritual life of the Lepchas in their village. Homeland of the Lepcha, the original inhabitants of Sikkim, the territory was designated a special reserve for the Lepcha community since the 1960’s when Sikkim was still a kingdom ruled by Chogyal Palden Thondup Namgyal. It borders the Khangchendzonga National Park and Biosphere Reserve offering panoramic views of Mount Khangchendzonga (8,585m), the third highest summit in the world and the protective deity of Sikkim. Sparsely populated, the area’s steep hills pitching into deep ravines portray a picturesque setting of solitude and calm. Although agriculture is the mainstay of its natives, large tracts of the terrain is too steep to allow terrace cultivation of grain crops, so here the major produce is cardamom which can comfortably take root and flourish in sloped inclines. Traditional Lepcha House – A Lepcha museum is located at Namprikdong, 10 minutes' drive from the Sangkalang police check post and its construction displays the ingenuity of an age-old tradition of laying the superstructure on open surface (over stone slabs) to counter the effects of powerful earthquakes. Another unique feature in the construction of traditional Lepcha houses is that no nails are used. This is an interesting point to begin ones exploration of Dzongu. While visiting the traditional house, one can walk further beyond to see the confluence of the Teesta River (Rongyoung Kyong). Tholung Monastery – This is one of Sikkim’s oldest monasteries and was built during the first visit of Guru Lhatsun Chempo. 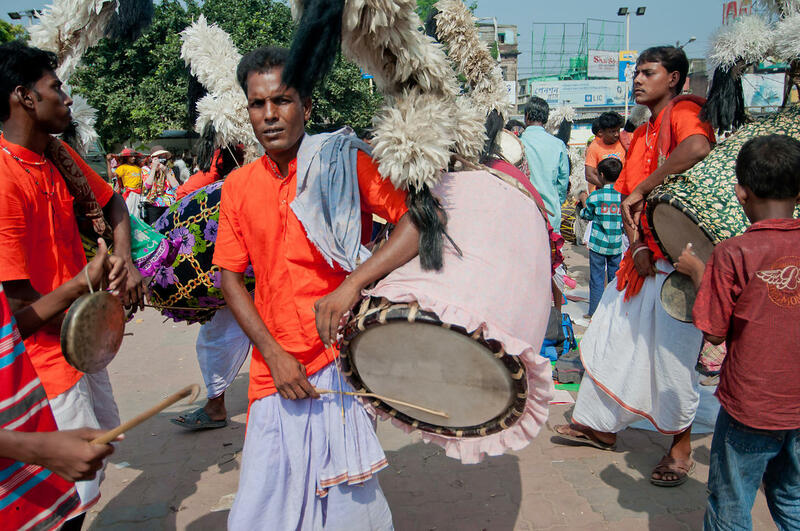 A festival celebrated every three years puts on display the treasured clothing of the revered Guru. Exploration around the periphery of the monastery, there are hot springs and sacred caves. Cane Bridges – Traditional Lepcha bridges are made from long sections of split bamboo, a ingenious feat of grass root engineering and can be seen at Passingdong and above Tholung Monastery. Waterfalls – Waterfalls are everywhere in Dzongu, with the biggest and the best is in Lingzya, on the way to Sakyong and Pentong. The Ruk Shot waterfall has a drop of 250 ft. Lakes - Lakes are sacred to the Lepcha as they believe that some of the clans originated from the lakes. Some important lakes with historical significance in Dzongu are Kishong, Tung Kyong and Dawathang. Sakyong and Pentong – Folklore suggests that the twin villages of Sakyong and Pentong to be the ‘legendary sacred portal to Khangchendzonga’ and seemingly so, it's locale reveals an awesome view of this beautiful mountain amidst a facade of verdant valleys abounding with lush meadows and thick forestland. Facing each other across a valley-divide, the two pretty villages lie amidst forest groves and cardamom fields with waterfalls roaring down the mountain cliffs. Both villages lie remote and are worth visiting for their pretty views and ethnic culture. Return drive to Gangtok enroute photo stop opportunity of beautiful landscape. Located at a 5 hours drive from Gangtok, Uttarey in West Sikkim is a base camp for adventure tourism. It is surrounded by hilltops, waterfalls, frothing rivers, evergreen forest, medicinal herbs and mountain hamlets. Apart from hotels and resorts it has three beautiful home stay villages for nature lovers. The Bandukey Limboo Tribal Heritage Village, the sherpa Gaon Tribal Heritage Village; and Ferek Lepcha Tribal Heritage Village are sites that have been developed for the visitors based on the local cultural themes. The famous Chewabhanjyang pass on the Indo-Nepal border is located 10 kms uphill which can be reached by trekking. From a vantage point of the pass the panoramic view of Mt. Everest. Mt. Dhaulagiri, Mt. Makalu, Mt. Lotse, Mt. Nuptse in the west and Mt. Khang chen dzonga, Mt. Pandim, Mt. Kabru, Mt. Narsing, Mt. Rathong, Mt. Siniolchu, Mt. Koktang in the east is visible. The Kagyu Gompa in Uttarey is a highly revered place of worship for the locals and a good place for sight seeing. The monastery is set amidst dense forests on a hilltop. The other important tourist spots around Uttarey include the Mainbus Waterfall and the Limboo traditional village of Sopakha, the Singshore Bridge, one of the highest suspension bridge over a gorge in Asia. One can also hike till Chitrey and get to see the trout cultivation undertaken at this centre. Several lodges and resorts exist that cater to the nature and adventure tourists that come to this site. Two full day shoot of the Limboo cultures and traditions in the stunning landscapes of Uttarey and Hee Bermiok. The Limbu or Yakthumba/Yakthung (in Limbu language) or Drenjongkä (in Tibet) or Tsong in (Sikkim) are an indigenous ethnic group that belongs to the Kiranti group or Kirat confederation that includes the Rai. Their approx population of 400,000 is centered on the districts of Sankhuwasabha, Tehrathum, Dhankuta, Taplejung, Morang, Sunsari, Jhapa, Panchthar and Ilam, all within the Mechi and Kosi zones in Nepal, also known as Limbuwan, as well as the East and West districts of Sikkim. Historically, the Limboos of Sikkim along with the Lepchas and Bhutias have accepted and consecrated “Phuntsog Namgyal” as the first religious king of Sikkim at Yuksom in 1642, and “Sikkim” was named by Limboo People. The very name of Sikkim originated from the two beautiful Limboo words “Suhim” meaning “New House”. Tibetan Sources considered as Bhutias, Lepchas and Limboos to be the original races of the Chogyal Kingdom. Around 1819, The Limboos were 20% Bhutias 30 % and the Lepchas comprising half of all Sikkimese. Bermiok is in the buffer zone area of famous Bersay Rhododendron Sanctuary. The area is gifted with abundant natural resources and its a paradise for nature lovers. It is mainly surrounded by small hamlets of Lepcha tribals and their culture, tradition and life style are still well preserved. Besides this, a fairly large number of Gurungs, Rais and other communities are also living together in peace and harmony. This area has got significant historical, cultural, natural and religious importance. Amidst lush green slopes directly facing the world third highest peak Mt. Kanchendzonga and its ranges, this village resort is sorrounded by green forested land comprising of Rhododendron, Orchids, Bamboos, Chestnuts and other different varieties of plants. In time departure transfer to Bagdogra airport to board the flight for Kolkata. Meeting assistance on your arrival at Kolkata airport and transfer to hotel for overnight stay. Accommodation on twin sharing basis for 13 nights as per the itinerary in hotels mentioned. Meeting and assistance by our representative on arrival/departure at Airport/hotel. *Please note that our representative in each city or area will not fly/drive with you from one city to another". Visa Fee—India visa: Visa is requested to be obtained before your arrival. Please make sure that you have got your valid passport and visa before your entry to India. Tip in India, as appreciation to the guide and driver, we highly recommend $4-6USD per person per day to the driver and $3-5USD per person per day to the guide. Not necessary tip to our airport representatives but first arrival from your region, which are often wee hours, so we suggest $2USD for thanks.